Fall 2018 Fashion Trends: Western Inspiration with Ulla Johnson, Anna Mason and more! I don’t know about you, but I am LOVING this week’s EDIT! These colors are all majorly inspiring me for the autumn season. 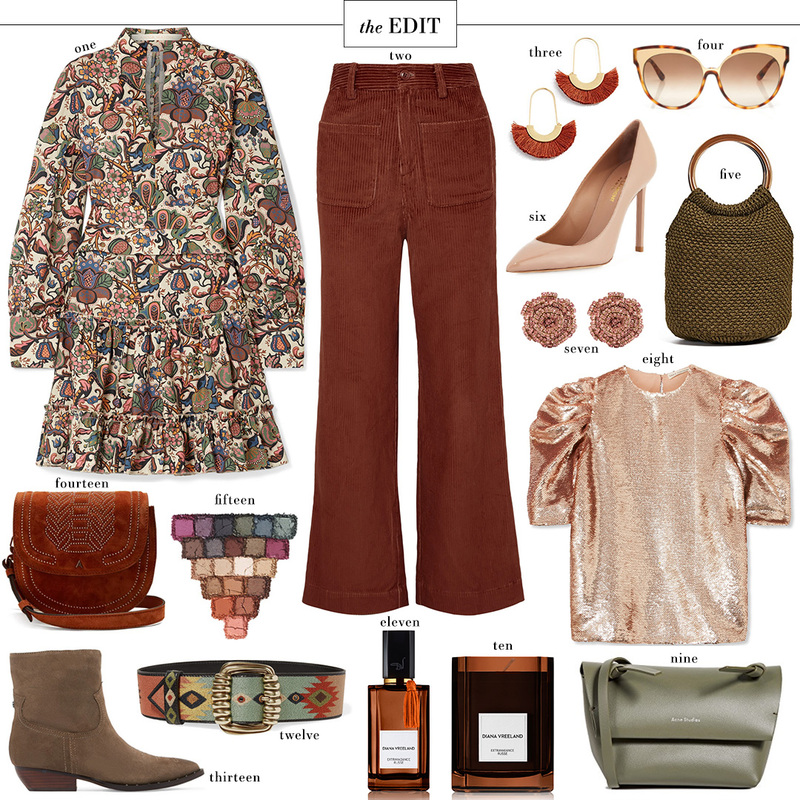 This minidress is really the main source of inspo for the rest of the collage – I’m jus tloving all the earthy tones and pretty fall paisley/floral print happening. This print also comes in a cute top! I personally love the dress though. I think it would be so darling with ankle or cowboy boots for a football game this fall. So chic and festive! It’s also made of lightweight cotton-poplin, so you know it’ll be lightweight enough for the current Texas temps. Also, with the western look being a huge trend this season, don’t miss these boots! They’re under $170 and also come in black. They’re the ideal casual boot to wear with everything from jeans to minidresses like the one in this collage. Finally, this Etro belt is quite an investment but it is SO CUTE! When shopping in Houston with my sister and mom last month, we saw this in the Etro store and obsessed over it. Such gorgeous embroidery (reminds me of Santa Fe), and it’s a great statement piece to cinch in all kinds of dresses and outerwear this season. It features burnt orange, so it’s a good piece to have if you go to a lot of UT games! For more inspiration, head over to THE SHOP! I updated every section with new finds over the weekend.